By the time Dylan inked his 2004 deal with Victoria’s Secret (he appeared in a second Victoria’s Secret Super Bowl TV spot in 2006) his embrace of the ad world seemed complete. The arguments against the ethics of appearing in an SUV ad seem rather obvious (though why we care more for the environment than we do about the objectification of women remains a troubling mystery to me). 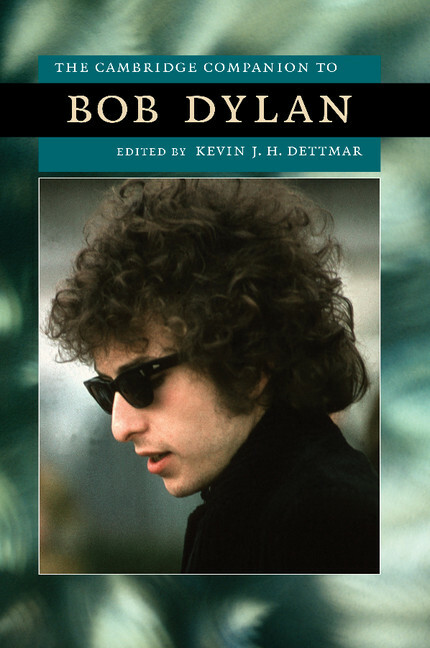 But what’s most interesting about Dylan’s choice is how finally and firmly out of step with the zeitgeist he seems. That General Motors, Cadillac’s parent company, currently sits on the brink of bankruptcy and is begging for a corporate bailout (and held in contempt by most of the American public) is only one symptom of our current economic malaise. Even the religious right’s embrace of the market is weakening. One of “Time Magazine’s Top Religion Stories” of 2008 was on the rise of the “New Evangelicalism,” one in which reliably right-leaning religious leaders, like California’s Rick Warren, are urging their flocks to focus greater attention on economic inequality and the environment, signs of a return to the “kinder, gentler Christianity” that sounds much like the faith that Dylan once called his own. So what do we make of Dylan’s late-career embrace of the market? This may simply, and somewhat understandably, be an artist seeking a broader platform: an iconic but aging singer whose end-goal is the fresh relevance best achieved by greater exposure. Or perhaps Dylan’s recent alliances with so many mainstream brands have put a fine point on what has been there all along: a singer, immensely talented, instinctively attuned to the outsider yet utterly beholden to the market insiders who have always made it possible for him to bring the wonders of his music to the attention of the world. In a sense, Dylan’s early anti-capitalism was the ultimate capitalist product, made possible in part by the reach of the market, the American advertising industry’s “creative revolution” and the local and global exporting of his own, uniquely American form of countercultural cool. His is a career built on images, allusions, and, most importantly, his own shape-shifting and self-created storyline: the very cornerstones of a great advertising campaign. We’re all brands now, or so the business books tell us, and Dylan is savvy – was ever savvy – so it is safe to assume that he understood that all along.